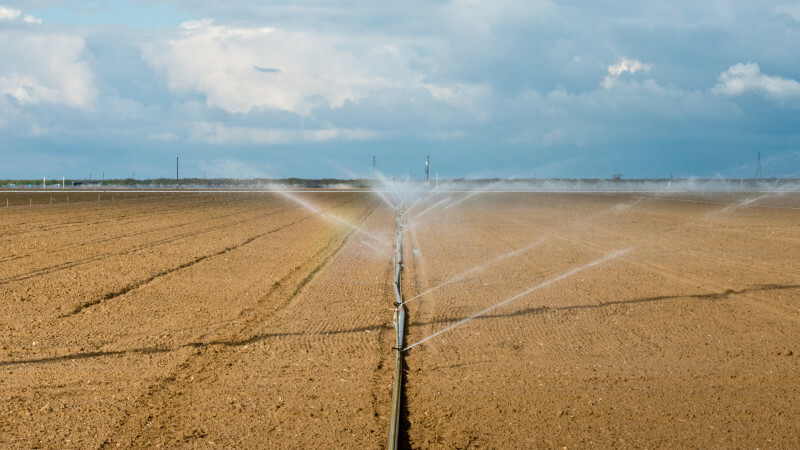 Now that California officials have ordered water cutbacks for some of the oldest and most protected water rights holders in the state, we're about to see if those orders will stick. In a historic move, more than 100 “senior” water rights holders have been notified that they must stop pumping water from streams and rivers. "This is our water." Steve Knell, Oakdale Irrigation Dist. The orders are expected to launch a flurry of lawsuits, with water right holders challenging the state’s fundamental authority to cut off senior rights. Court rulings could dramatically alter how water rights are handled in the state. Water is doled out in California based on how long ago it was claimed, with the earliest rights going back to the Gold Rush. In the pecking order, newer “junior” water rights are the first to be cut back when water supplies get low, so senior rights holders can continue to get water deliveries. Almost 9,000 junior water rights holders have already been ordered to stop using water this year. But with a record-low snowpack and worsening drought conditions, the State Water Resources Control Board is now cutting back older rights, going back to 1903. “We’re now at a point that the demand in our key river systems is outstripping supply,” says Caren Trgovcich, State Water Board Chief Deputy Director. The order affects 276 rights held by individuals and several agricultural water districts, amounting to 1.2 million acre-feet of water. Violators could face fines of $1,000 a day and $2,500 for each unauthorized acre-foot of water they draw. Senior water rights have largely been considered untouchable in California. They’ve only been cut off once before, during the 1976-77 drought. California created the water board to oversee water rights in 1913 and began issuing permits for water claims. There’s even a large bank safe in Sacramento that holds all the permits. Earlier claims, going back to the Gold Rush, are considered “pre-1914 rights” and don’t have permits from the state. Those rights holders plan to challenge the state’s authority to regulate them. Five water districts, including Oakdale, Merced and Modesto Irrigation Districts are filing for a stay to halt the curtailment orders. Others within the Sacramento-San Joaquin Delta are also expected to bring legal action. At a hearing in May, the state water board heard testimony from several water attorneys who warned lawsuits would follow in quick order. “It’s not equitable, it’s not legal and it will be challenged,” said attorney Jeanne Zolezzi, representing several water districts on the San Joaquin River. Cutting off some senior water rights to protect even older water rights wouldn’t be valid, she said, because senior water rights are only claims and haven’t been proven out by permits. Water officials say cities and communities aren’t exempt from water rights cutbacks. “It does mean we would lose the entire supply,” says Ed Pattison, general manager of Mountain House Community Services District, which serves a community of about 15,000 people near Tracy. With the state facing a long, dry summer, officials warned that these may not be the last cutbacks. “Curtailment notices for other watersheds and for more senior rights holders in these watersheds may be imminent,” warned the water board’s Trgovcich. That could even affect San Francisco. The city's Public Utilities Commission has rights dating back to 1901, after the city’s mayor famously claimed water in the Tuolumne River by nailing a sheet of paper to a tree. The city could be facing the same fate as other senior rights holders. “As we continue this process, we anticipate that they will be,” says the water board's Howard.